About two weeks before she died, she finally figured out what I meant by blondies, but she went into the hospital that night and I didn’t get another chance to ask her. 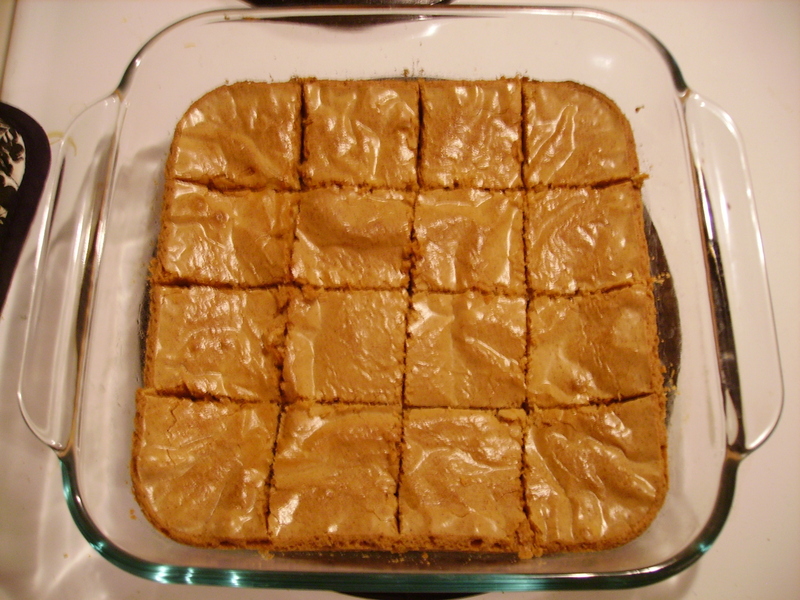 Despite the fact that this recipe is not Nana’s recipe, I still think of blondies as a treat from my Nana. This is a versatile bar cookie, as you can add into it whatever you want–if you want to add anything at all! I listed a few suggestions, but feel free to add in whatever your “mind’s taster” finds most delicious. And, best of all, you are almost certain to have all these ingredients on hand at all times, so you can make these in a jiff for guests! First, bring the butter and brown sugar to a thick bubble. Don’t let it heat too long, as it will need to cool down before you can add the egg and vanilla extract. Haha…I guess I didn’t scrape the bowl well before this picture. 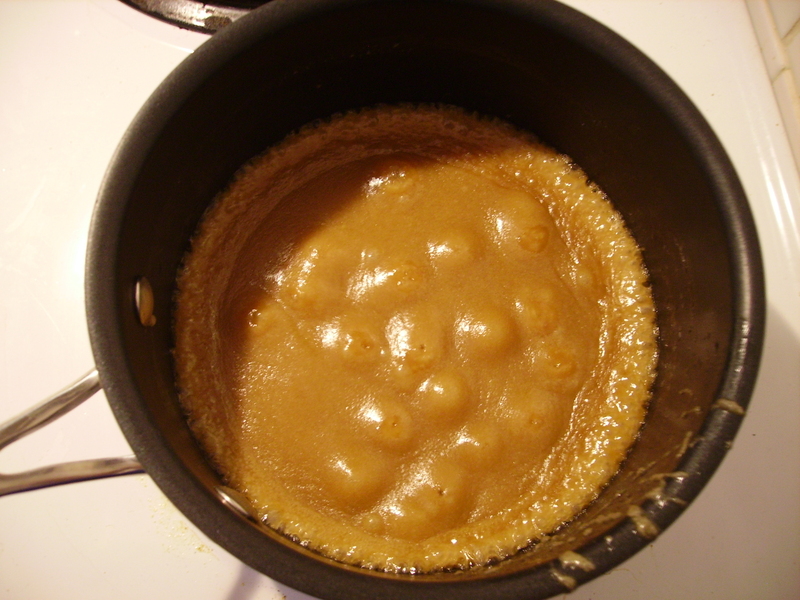 But you can see, even after letting the caramel cool for 5 minutes, it is still hot enough to bubble. Make sure to mix the egg in quickly so that it doesn’t cook! Then, add in the flour and baking soda. For this batch, I chose not to add in any chips or nuts. 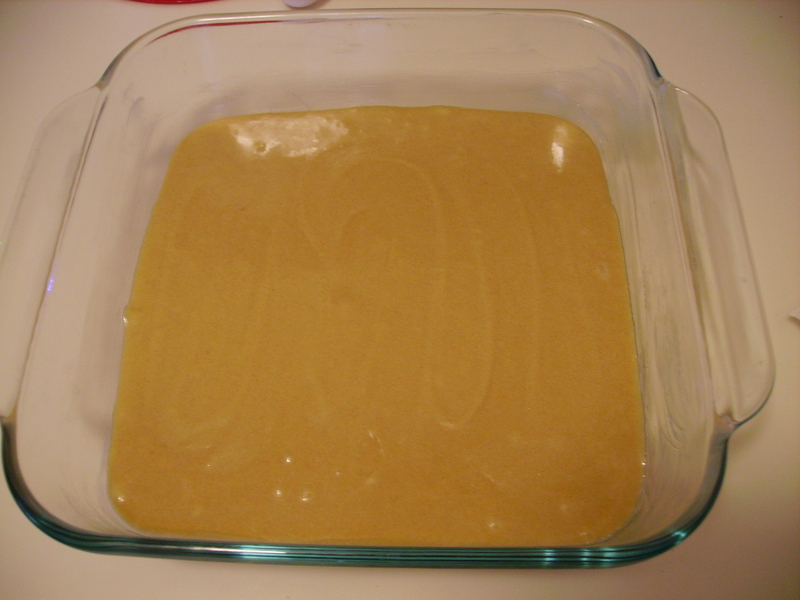 Pour into a greased dish and bake. These blondies bake up with a wonderfully crackly skin. 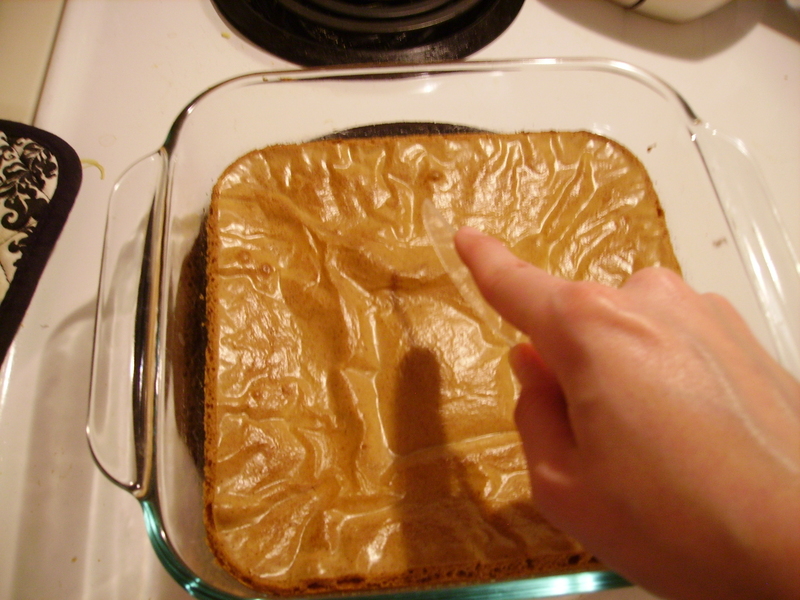 Always use a plastic knife to cut blondies or brownies. Verily, verily, I say unto thee: This is the trick to clean cutting, warm or cool. 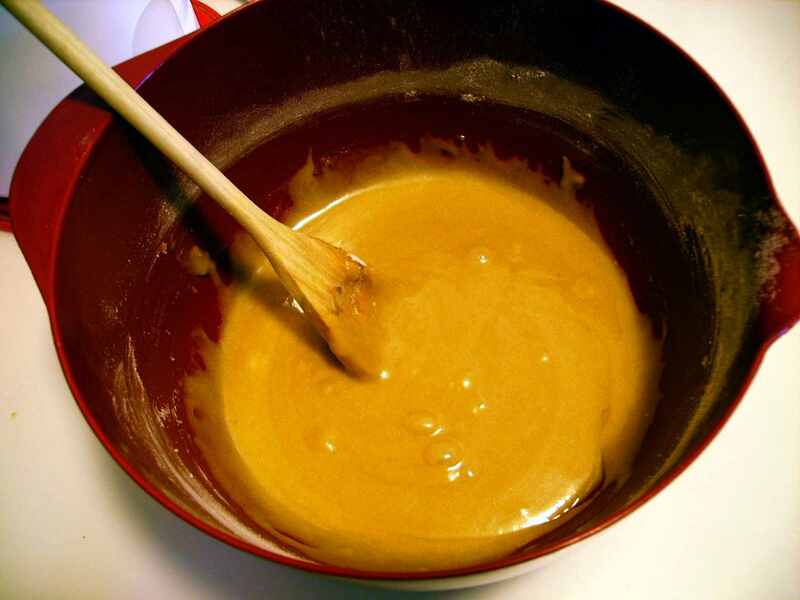 In a small saucepan, cook the butter and sugars over medium heat until thick and bubbly. Remove from heat and let cool 5 minutes. Beat in egg and vanilla. Gently stir in flour and baking powder, making sure to eliminate all lumps. Stir in the chips and nuts, if desired. 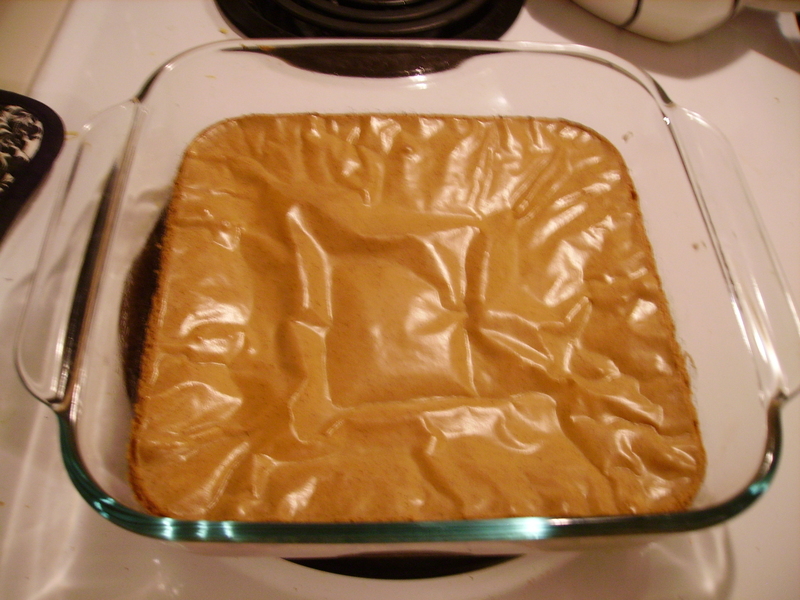 Pour the batter into a greased 8″ square baking pan. 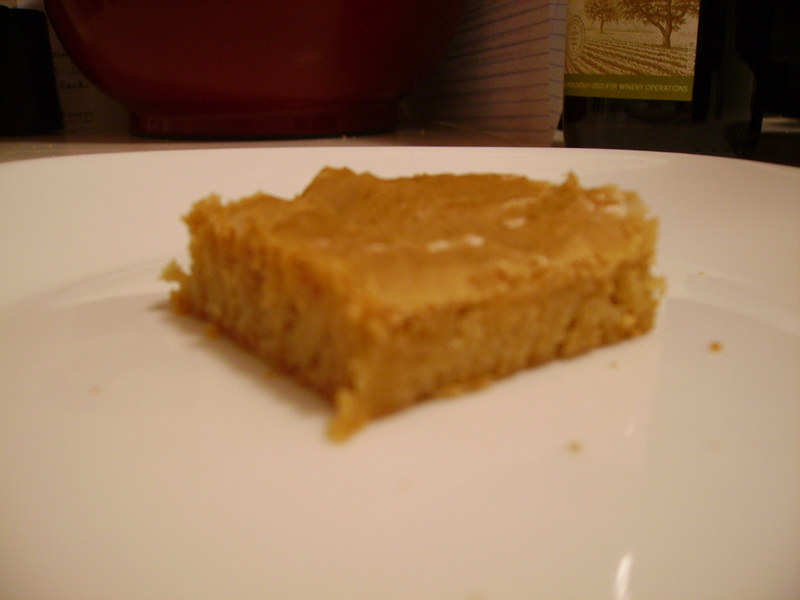 Bake for 30–35 minutes, or until blondies pass a toothpick test.